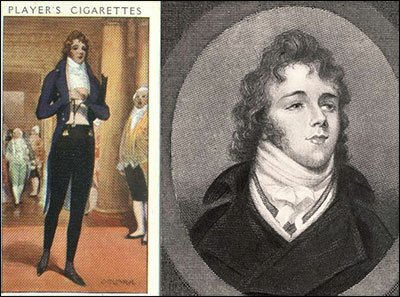 On the flipside, in the English Regency, there are two major factors that contributed to this change – the Age of Enlightenment and the quintessential dandy, Beau Brummell. England at this point is engaged in constant war between Napoleon, its own efforts at expansion, and itself (Hey, America!) and the French Revolution along with the philosophical writings of the time jump start this trend of neoclassicism. For men, this means a “sleeker” silhouette, to highlight the male body and echo the idealized physique in greek sculpture. Suddenly elaborate trims and ornamentation is left out and the quality of tailoring and cut of cloth is emphasized in such a way that implied the fitness and virility of the wearer (important also in a growing military culture). Beau Brummell takes this silhouette and runs with it, becoming the poster boy for men’s fashion. He is so influential as a style icon that it is often credited to him that we see the modern suit form, the dark colors and precise tailoring, starched crisp collar and a well placed necktie all from his cue (which he took from the french idealization of working class aesthetics). So ok, we’ve established the development of the male uniform, now what? 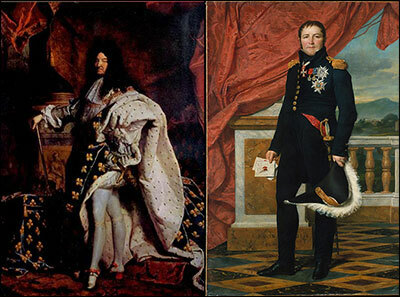 The call for women’s dress reform eventually reverts back to more restricted garments and exaggerated silhouettes, and therefore further ornamentation in dress is explored (this time to get away from any association with Napoleon). 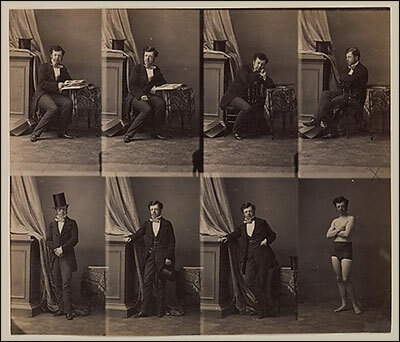 So what happened to masculine identity in the following Victorian era? The Industrial Revolution and the rise of free-market capitalism became the final nails in the coffin. Jumping from the military to the factory, with a focus on establishing status through industry never left room for ornamentation and play in the male wardrobe. And then came more war (the great equalizer), the great depression, and a second helping of more war. And while massive changes in women’s clothing paralleled their shifting role in society, changes to male fashion mostly fell back on how trim or muscular the current mood fell on. Men’s fashion shuffles slowly from this point. Suddenly the past-paced play of Inclusion/Exclusion, globalization and the speed at which information is shared blows open the playing field and yet again the lens through which masculinity and fashion is examined changes. At this point we start to see pockets of change in masculine identity largely because of the shift in feminine identity. That is the new conversation to be had. Suddenly the female gaze becomes more powerful in our timeline, and changes in priority from family to work also changes the idea of leisure which is important to the development of certain aspects of style. The idea of play and the value of ornamentation once again has a chance to be a focus, breathing new life into menswear, though only in specific pockets of society. We are in an age where uncertainty is key, and ideas are memes, infiltrating and dissipating into culture almost instantaneously. All fashion has now is play and this I believe to be important in identity forming. Knowing how trends and signifiers move, how do you play with fashion and what does that say about you?